After their first consignment safely arrived in Kenya, Lawi Shipping International container packing for the second shipping is here. According to the Company, the next consignment leaves for Kenya at the end of October and this is an appeal to all prospective clients who wish to have their cargo on board to get in touch as soon as possible. The cargo will be dropped in Nairobi. For information to customers, cargo is either dropped at Högdalen for onward shipping or you can arrange to have it picked up at your residence any time. Call our pick-up center at 0700474138 for bookings. Charges are as follows: Flyt Katong (moving box): 400kr (more than 5 boxes 300kr each); TV set 700kr no matter what size while if you want to book space, 1 Cube costs 2000kr. In case you need further clarifications on our offers, call us or send mail to: Lawie110@hotmail.com. Once the cargo arrives in Kenya, the recipient is contacted and delivery arrangements made. Delivery time to Kenya is six weeks. 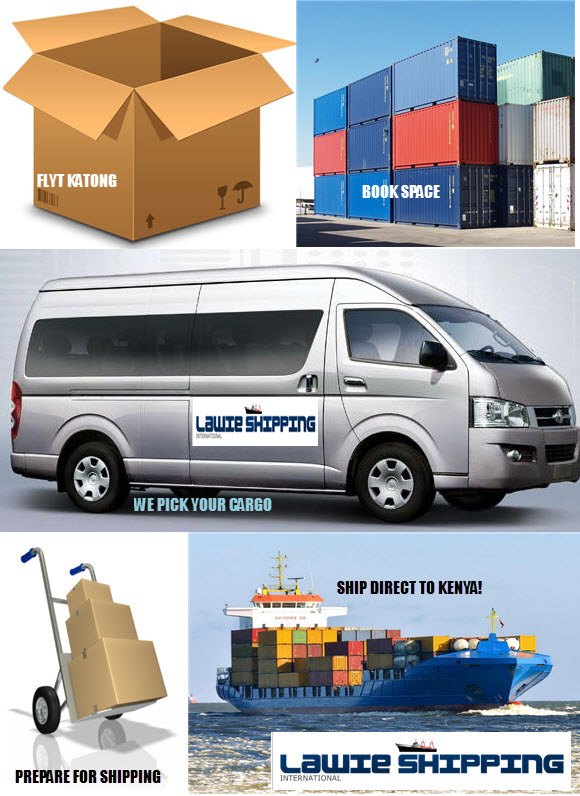 In Stockholm, Lawie Shipping International is the most reliable, professional, most experienced and on time with unbeatable prices. We carter for everything – collection, handling, customs, delivery and feed-back, all wrapped in one package price, affordable and convenient. Try us today and you will never get disappointed.